If you’re anything like Phone Bill Casino you love to hear about amazing new sites and their bonuses. With our latest mobile site Winzino Casino, you also have the option to pay for your credit via boku; which can only enhance your gaming experience. Winzino Casino launched in 2015 through Nektan, the people who brought us Chomp Casino. Their modern design offers high quality graphics and sound, on both mobile and desktop. This is perfect for those of you who love casino and featured slots such as Gonzo’s Quest, Jimi Hendrix or Starburst. Reduce your boredom on long journeys, in tedious queues or even those rare opportunities for relaxing in the bath by gaming on your mobile devices. Accept pay by phone bill via Boku. 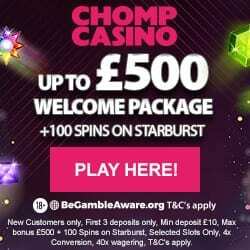 We love to start with welcome bonuses and at Winzino Casino you can enjoy a £5 no deposit bonus upon registration. This extra credit is the perfect way for you to test out the site and determine if you want to add any of your hard earned money. 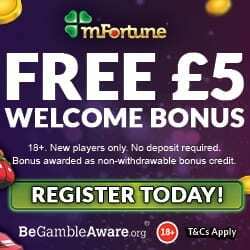 3rd deposit, 50% cash match bonus up to £250. This means that on a minimum £10 deposit on each occasion you’ll receive £35 credit. Although there are not as many regular promotions as you’ll find on other sites, Winzino Casino does offer some generous ways to boost your credit. 10% Win Boost – Join Winzino Casino every Tuesday and play their amazing slots. If you win overall they will give you a 10% boost to your winnings. Up to £25 Match – Who doesn’t love Friday? Well make it even better with a 25% boost on your first deposit, when you play on any slot games every Friday. Winzino Casino love to reward loyalty and as such offer an invitation only VIP Club. After you join the elite, you can look forward to a plethora of bonuses including weekly cashback, priority customer service, birthday bonuses and increased deposit limits. For the tweeters and likers out there, make sure you check out the Winzino Casino Facebook and Twitter pages for any news on games and promotions. To contact a Winzino Casino representative, you can use telephone, email them or send a letter via post. Full details are under the ‘Contact Us’ tab and phone lines are open Monday to Friday, from 9am to 12pm. There is also an extensive FAQ section for any quick questions you may have, so we recommend having a peek at those beforehand. They accept the usual banking methods including Credit and Debit Cards, Skrill, U Kash, Paypal and Boku. Boku means you can deposit and add this credit to your mobile bill, or use up unwanted phone credit. Then you simply pay it off when the bill comes through! 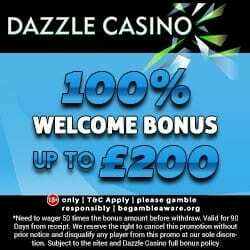 To enjoy these bonuses and claim the £5 no deposit bonus, let us take you through to Winzino Casino.